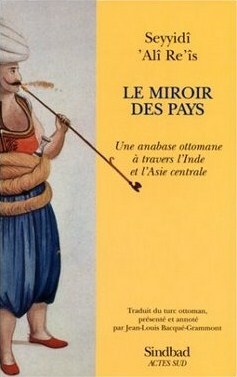 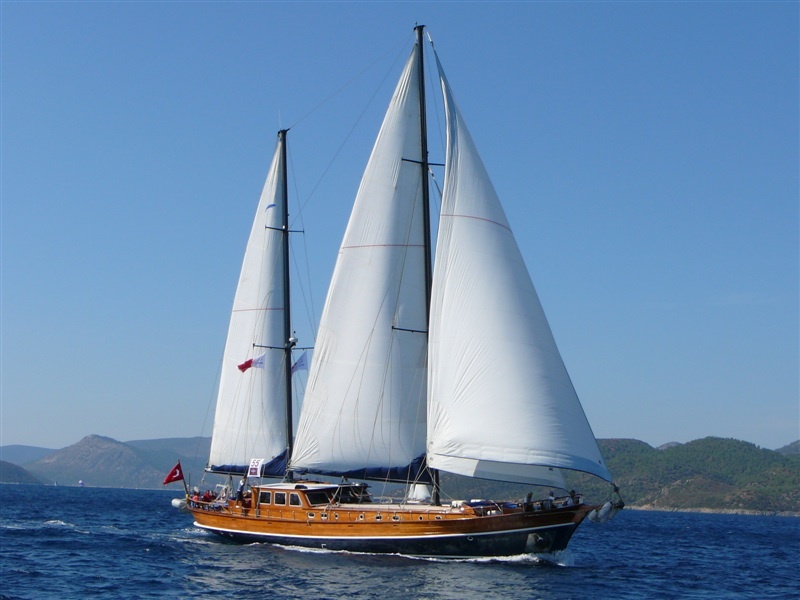 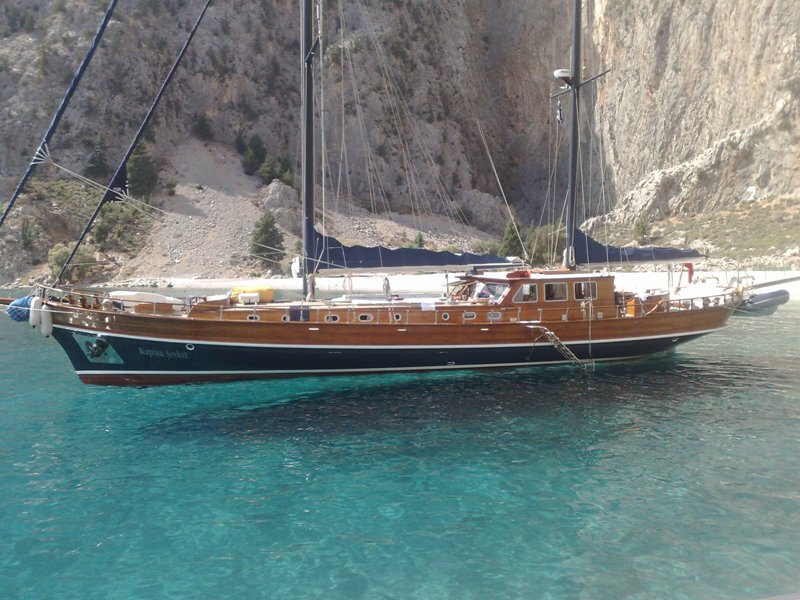 may be found charter sailing the eastern Mediterranean coast of Turkey and among Aegean islands of Greece. 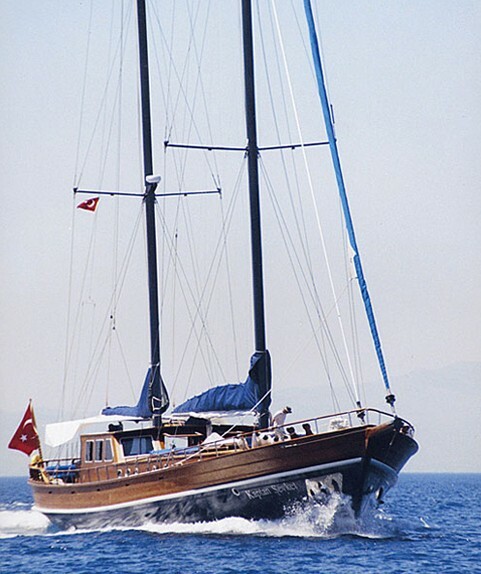 With 3,400 square feet of sail she is fast even when under short sail as in the above photograph. 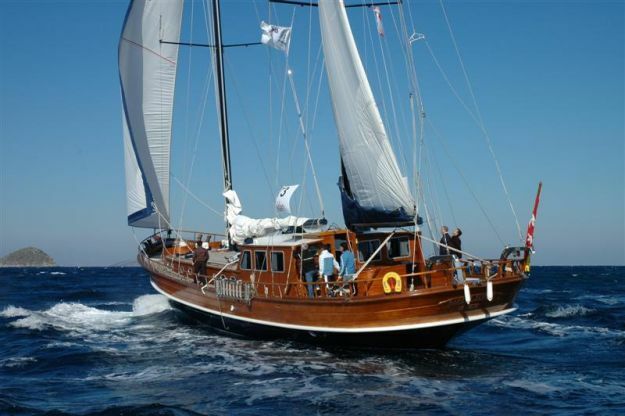 She is equally fast when not under sail, her speed under power up to 12 knots. 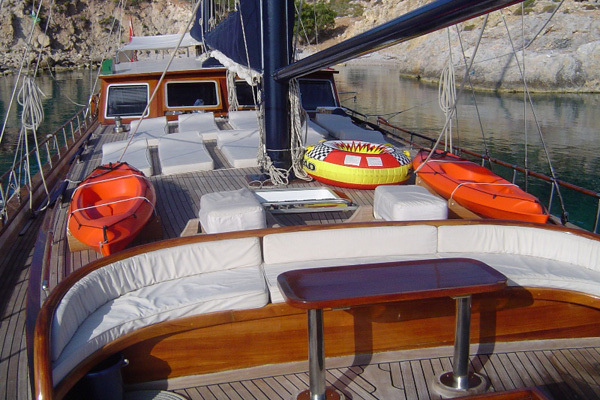 More importantly, she is a fun yacht her guests love. 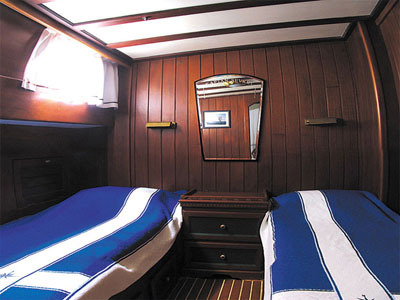 She has six guest cabins, four of them with double beds and two with twin beds, all with en suite water closet and shower. 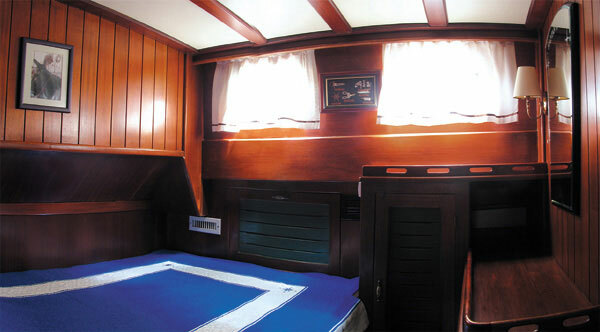 Sevket Kaptan is air-conditioned throughout while each cabin is sound-isolated within solid walls. 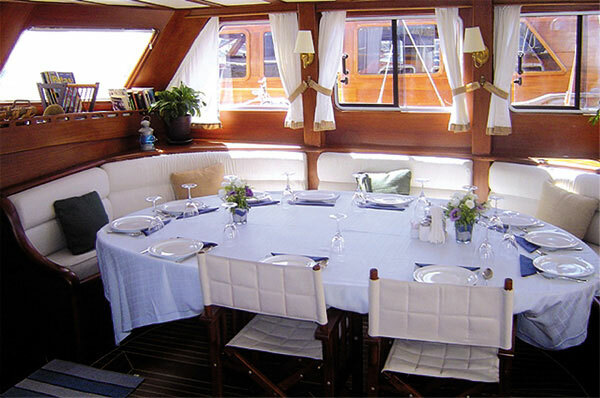 When not sailing the quarterdeck has a shaded dining and lounging area.